Holly received her Juris Doctorate from Thomas M. Cooley Law School, Lansing, Michigan, in May 2008. She was admitted to the Illinois Bar on November 6, 2008. Her practice focuses on estate planning and probate, guardianships, real estate, collections, landlord/tenant disputes and family law. While attending law school, Holly volunteered at Elder Law of Michigan, Inc., a non-profit organization that provides legal assistance to seniors in Michigan. She also was a legal intern at Sixty-Plus, Inc. Elder Law Clinic, an in-house clinic that offered free legal services to individuals over 60 years of age in the Lansing, Michigan area. 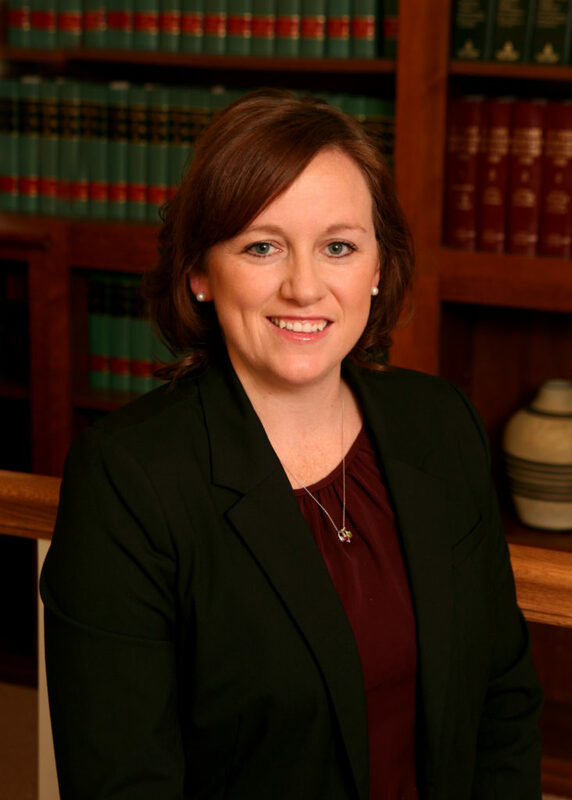 She is a member of the Effingham County Bar Association and the Illinois State Bar Association. She is also a member of St. Anthony of Padua Parish in Effingham, Illinois and the Effingham Chamber of Commerce’s YBNext. Holly serves as a member of the Board of Directors for CASA of Effingham County and as a member of the Board of Directors for Fear Nothing, a non-profit organization that raises funds for cancer research and provides support to local families and individuals undergoing cancer treatment. She is a former board member of STAR, a nonprofit organization created to help fund the problem solving courts in Effingham County. The daughter of Mark and Dianna Hotze of Teutopolis, Holly is a 2001 graduate of Teutopolis High School and received a Bachelor of Science from Illinois State University. Holly resides in Teutopolis with her husband, Blake, and their three sons, Owen, Mark and Leo.